Support each other to learn and grow in the roles and teams you serve in. The role keeper — or team — leads the peer review by setting up the process and speaking first in each step. Ensure to invite people with complementing perspectives to contribute to the review, and a facilitator. 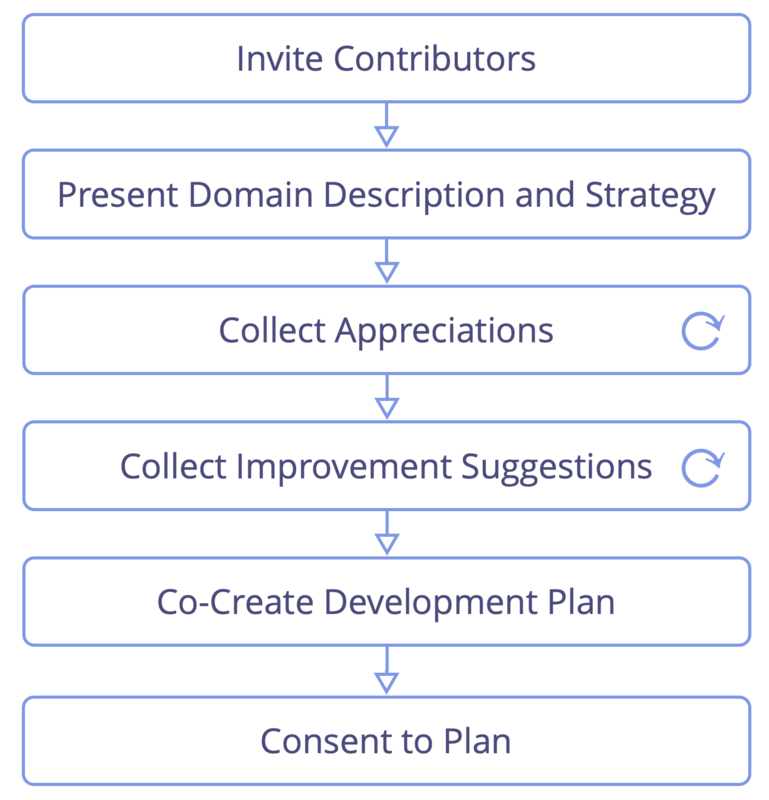 Improvement suggestions may relate to personal development, collaboration, updates to the domain description (including the driver) and strategy. This work by Bernhard Bockelbrink, James Priest and Liliana David is licensed under the Creative Commons Attribution-ShareAlike 4.0 International License.